Join us for 5 days of singing, dancing and acting in the beloved musical “Annie”! No voice or dance experience necessary. For ages 9 and up. Please bring water and lunch, comfy clothes to move in and indoor shoes. Originally from Vernon, BC, Amelia Sirianni spent the last decade working as a professional actor in Toronto, ON. 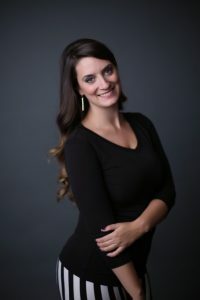 Amelia received her formal professional training at the Randolph Academy for the Performing Arts and has since had the privilege of performing on stages across NorthAmerica as well as in film and television. Favourite roles include Deedee Doodle in “The Doodlebops Live” national tours, Strawberry Shortcake in “Strawberry Shortcake and Friends” North American tours, and Widget in the runaway Fringe and Next Stage Festival hit “The Tiki Bikini Beach Paradise Party A-Go-Go”. Globe & Mail critic J. Kelly Nestruck singled out her “Muumuu-clad Widget” as a favourite performance. Camillia Courts is a local dancer and choreographer with over 12 years of teaching experience. PLEASE NOTE: When registering make sure to include emergency contact. Registration policy: (please note) registering online does not guarantee a space in the class unless payment is received. You must fill out the online registration form, and the system will place unpaid registrations on a waitlist, and will move you further down the list as paid registrations are received.